Must be 21 to purchase or recieve. Product contains milk, wheat, peanut, egg, and soy. Produced in a facility that also processes pecans. Sweets for your sweet! This gift basket is filled with decadent chocolates and adorable Valentine’s Day treats. 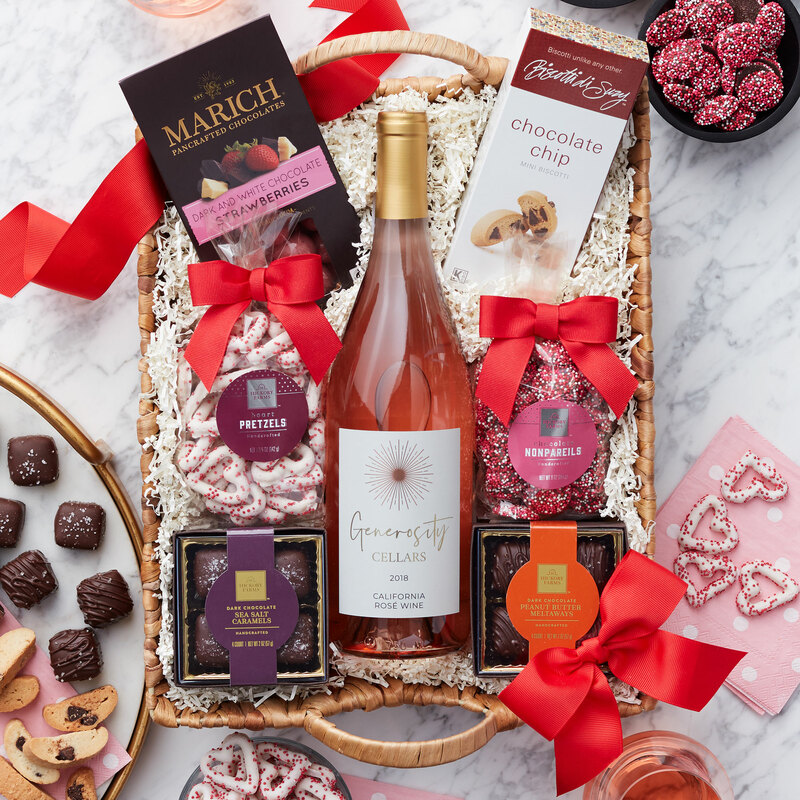 The included bottle of Regalo Valley Ranch Rosé is the perfect wine to enjoy with these sweets. Surprise your best friend or someone special with this thoughtful gift for Valentine’s Day.